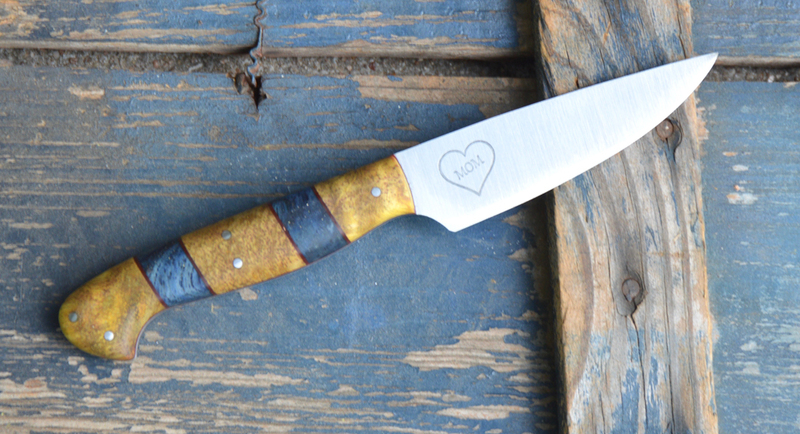 Home/Finished knives./Pair of knives in Texas Mesquite wood. 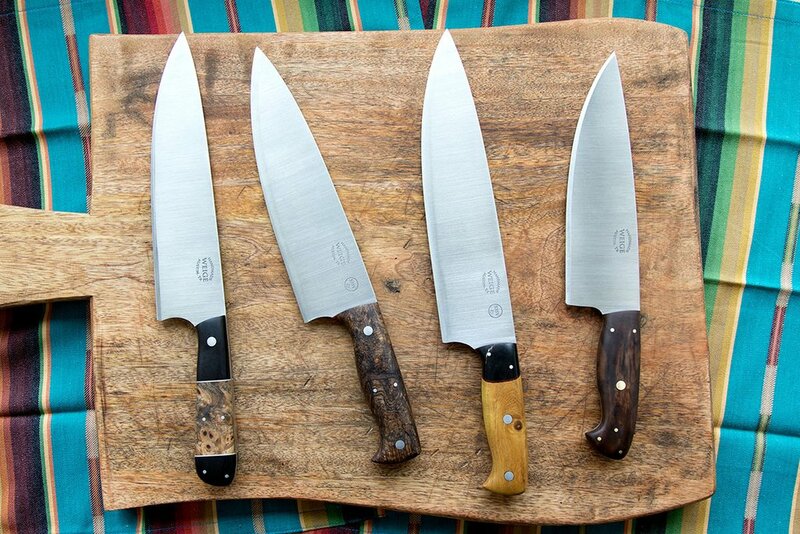 The Métier Cook’s Supply chef and slicing set is complete. 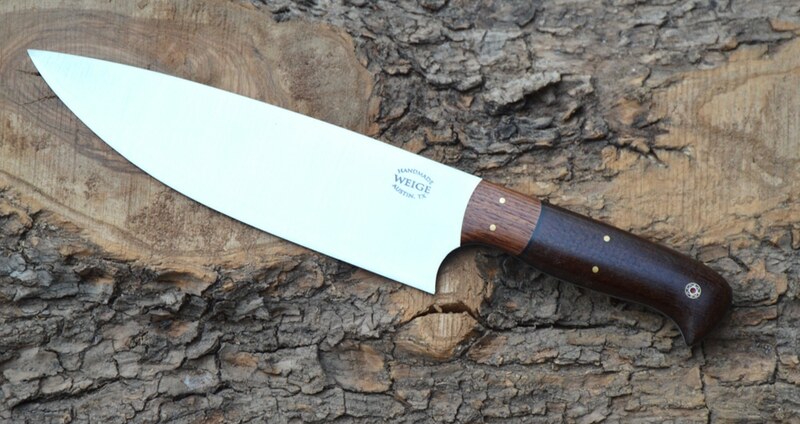 16 inch slicer in 440c w/ stainless bolsters and pins on stabilized Texas Mesquite. 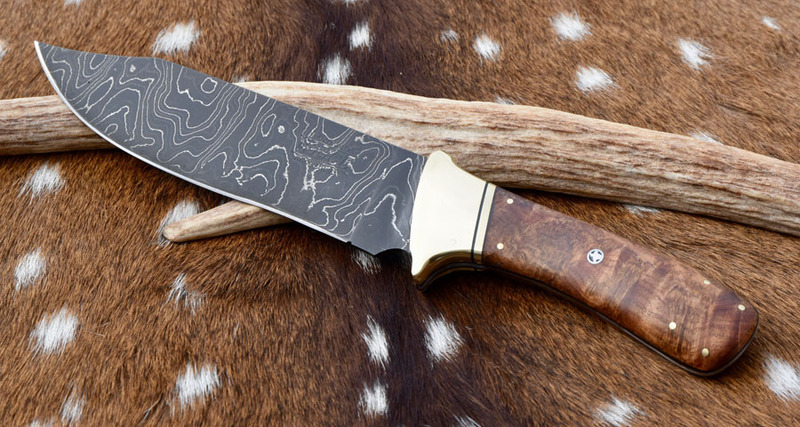 The chef comes in at 13 inches in matching materials. 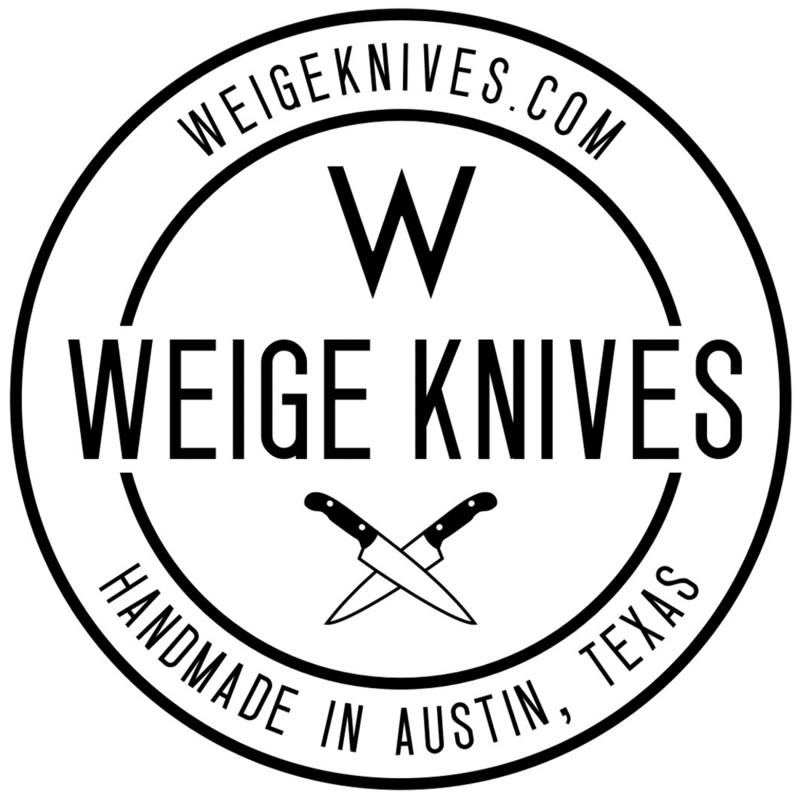 Co-branded with the Metier logo on one side and mine on the other of each knife. Some of my finest work to date. Very challenging, but I love these knives.